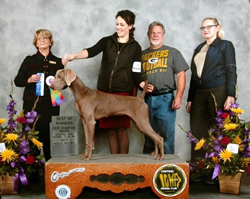 "Nova" lives in Dubuque with Clay and Janelle and we are mentoring them in their path of puppy ownership, Championship and hunting of this girl and "Wunder"
Nova is second from left just before winning her second major to finish her AKC Championship title. "Nova" will be bred sometime this year sire still to be determined it will be posted as soon as it is determined. 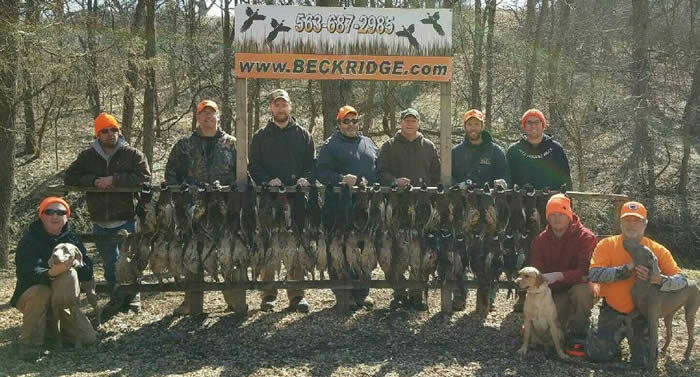 She was a very easy to show girl finishing her AKC title of Champion very quickly and is a natural steady guide dog and is often used for hunting groups by her owner Clay. "Nova" & "Wunder" with Friends after a hunting party.